TechAnalysts is a 100% US Based website design and development company. Our goal for any website is to provide a tool that assists our clients. However, each of our clients is different. Chances are, you have a need that is different from our other clients. That's the reason we start our process with a one-on-one meeting, typically on the phone and online, to interview you about your needs for your website. You may have a need for generating new business, to streamline the customer service aspect of your business, sell merchandise online or you may desire a complete web application to help run your business from top to bottom. There are hundreds of ways to use your new website, so let's discuss how you'd benefit from your new website with TechAnalysts. Once we've determined your needs, we begin a collaborative design process. We come up with some ideas, present them to you and get your feedback. Once you are happy with the design concept, that's when we first ask you to commit to the process by signing a contract with us. Before that, there is absolutely no obligation on your part. We want to show you that we have listened to your needs and desires and that we can do what we say we'll do. In other words, we want to earn your business. Your website will come with an extremely easy to use content management system that is very extensible to ensure that the tool will fit the job rather than make the job fit the tool. Your new website will also be mobile friendly with a clean, fresh responsive design. We invite you to join the hundreds of clients we have worked with over the years to create the website that will provide exactly what your business needs. Website design and development is NOT a part-time job or a side job for TechAnalysts. We take great pride in knowing that we are here for you on a full-time basis. We also believe that a great website is MUCH more than picking out a pretty template or theme. 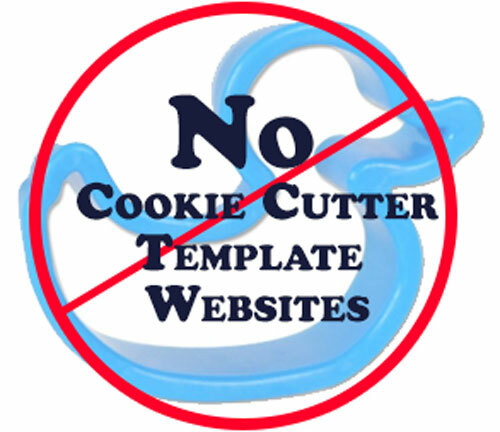 That's why we don't start with cookie-cutter, one-size-fits-all templates or themes. Because your business is truly unique, you don't want to look like everyone else. We capture that uniqueness and create a custom design specifically for you and your business. As a business owner, you know that it takes dedication to be successful. We know the same thing. That's why you would never want to trust the success of your online presence to the neighbor's kid who is taking a class in website design or threw together a website for a school project. Did you know there are more mobile devices than PCs these days? Mobile web is so important that search engines rank mobile friendly sites higher than non-mobile friendly websites. We ensure your site performs great on desktop, tablet and mobile devices. A website should invite your visitors to interact and share your information with their family, friends, and colleagues. That's why we incorporate social interaction into your website. We also know it is important for you to initiate social interaction with your clients. We can incorporate our taConnect product to your website allowing you to post a blog entry on your website and simultaneously update Facebook, Twitter, and Linked In. TechAnalysts is local. We have several offices around the country. As a 100% US Based Website Design and Development company, we can serve your company's needs locally. You can read more about our history and growth or contact us to find out how we can help you and your company.